Qualcomm (QCOM) -- a maker of smartphone hardware -- said Wednesday that it will cut 15% of its jobs. The layoffs add up to about 5,000 workers. News of the job cuts came as the company also reported its revenues fell 14% and that its profit was down 47% from a year ago. Shares slumped 1.2% in after hours trading and are down more than 21% over the past year. Its business has struggled since Samsung began making chips for its Galaxy S6 in house. "They didn't excute it. They didn't have the right product at the right time," Srini Pajjuri, an analyst with CLSA, said. He said the market for Qualcomm's products has shrunk as Apple and Samsung -- which represent more than 50% of the market -- have started making their own versions. To adjust, Pajjuri said, they have to downsize. Qualcomm said it plans to cut spending by $1.4 billion within the next year and change executive compensation "to align with stockholder returns," the company said in a statement. JANA Partners, an investment firm that bought a large stake in the company earlier this year, is also putting two of its members on Qualcomm's board. 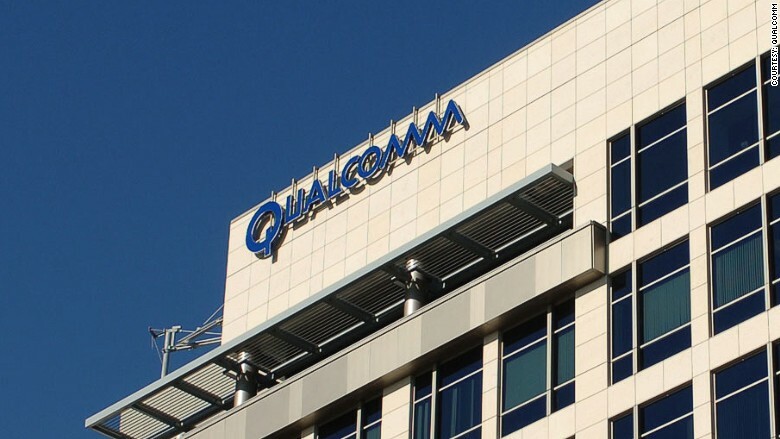 Qualcomm would not comment on when the cuts would take place or what jobs would be eliminated.